A child's lost tooth is precious to them, so don't take chance on cheap imitations of a SmileMakers original! 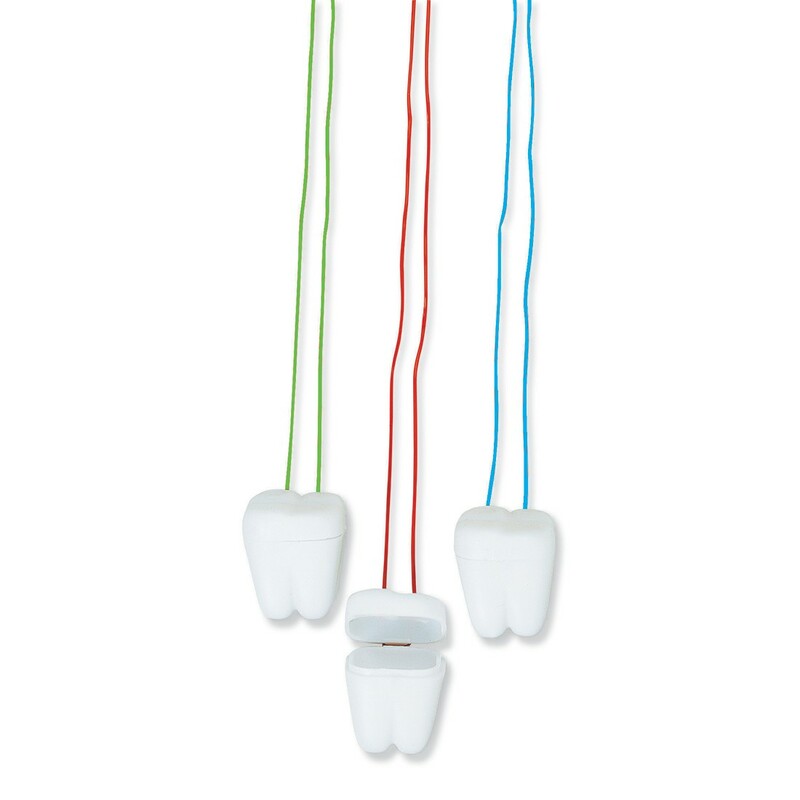 Our Tooth Necklaces are better quality with holders that will stay closed. See for yourself why SmileMakers' Tooth Necklace is a customer favorite! Our 24" necklaces are twice as long as others on the market. Each individually tied. You won't receive a box of tangled mess from us. Our holder stays closed. You won't be on the floor searching for a dropped tooth.